Maruti Suzuki has launched the Alto K10 Plus edition in India at a price of Rs 3.40 lakh, ex-showroom, Delhi. This edition offers 10 additional features over the regular VXi variant. 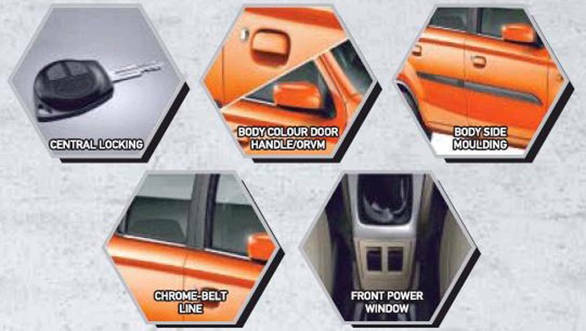 The exterior features a rear spoiler, chrome beltline, plastic door protectors, body-coloured door handles and ORVMs, and chrome accents on the wheel arches and around the fog lamps. Inside, additional features include reverse parking sensors, front power windows, a central locking system and a piano-finish music player. While the Maruti Suzuki dealerships we spoke to aren't aware of the exact price difference between this car and the standard VXi variant, our estimate is pegged at around Rs 15,000. This is essentially a move by Maruti Suzuki to clear as much of the existing Alto K10 stock before a facelifted version is launched. 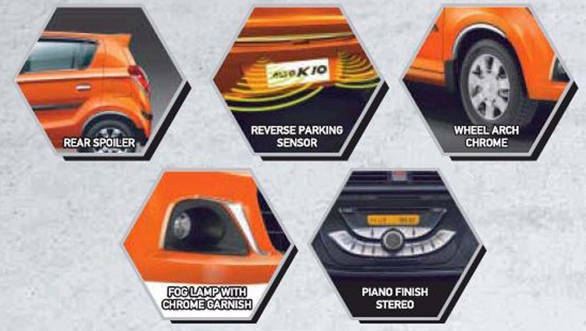 With this special-edition Alto K10, the brand also hopes to draw customers away from the fast-selling Renault Kwid. The Maruti Suzuki Alto has been the bestselling car in India for a long time now, and the K10 was introduced as a better performing, slightly more premium model in the Alto brand. With practicality, manoeuvrability and great efficiency, the small hatchback has the perfect set of ingredients as we found on our first drive review of the Maruti Suzuki Alto K10. 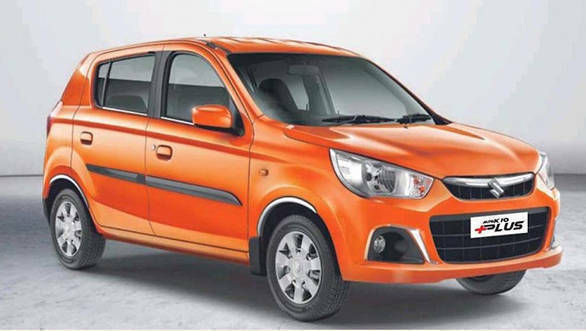 The Alto K10 is powered by a 1.0-litre, 3-cylinder petrol motor with an output of 68PS at 6,000rpm and 90Nm at 3,500rpm. The front wheels are driven through either a 5-speed manual or a 5-speed AMT gearbox. The Alto K10 is available in six trims  LX, LX (O), LXi, LXi (O), VXi and VXi (O). The AMT gearbox and the new Plus edition will be available only in the VXi and VXi (O) trims.